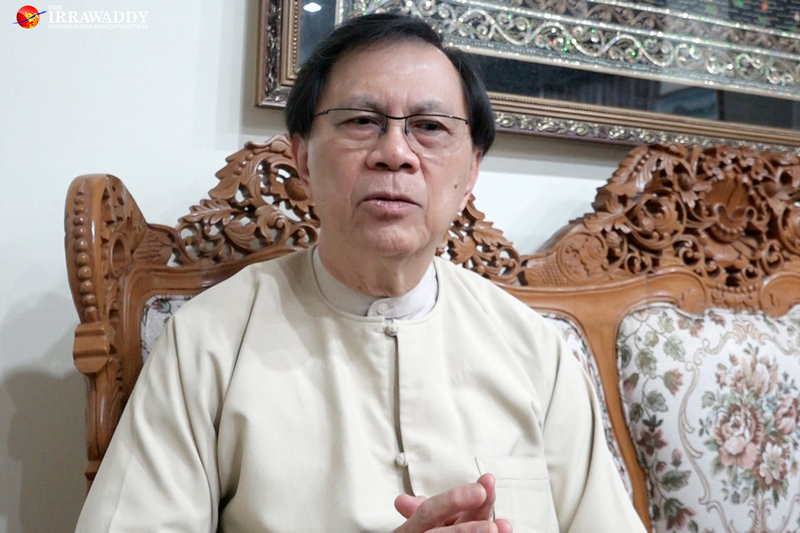 YANGON—Despite Myanmar facing a significant economic downturn last year, government officials and business people alike have expressed positivity for the country’s economy in 2019, especially in regards to foreign investment and the local business environment. However, the country still has many challenges to face. The unsolved crisis in Rakhine State, weak strategies in the tourism sector and policies that do not favor local investors are just a few obstacles that must be tackled. 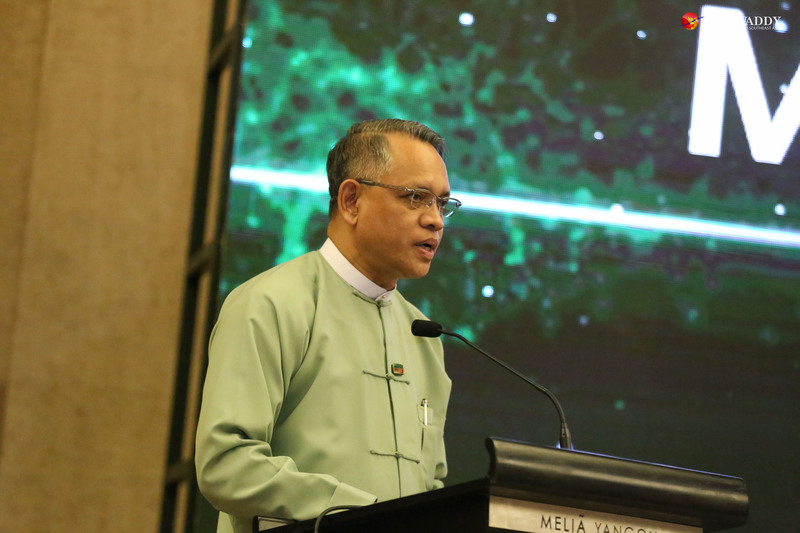 Despite these, Myanmar expects to receive more investment from East Asia, for investment agreements to generate more job opportunities and to see progress in local small- and medium-sized enterprises. 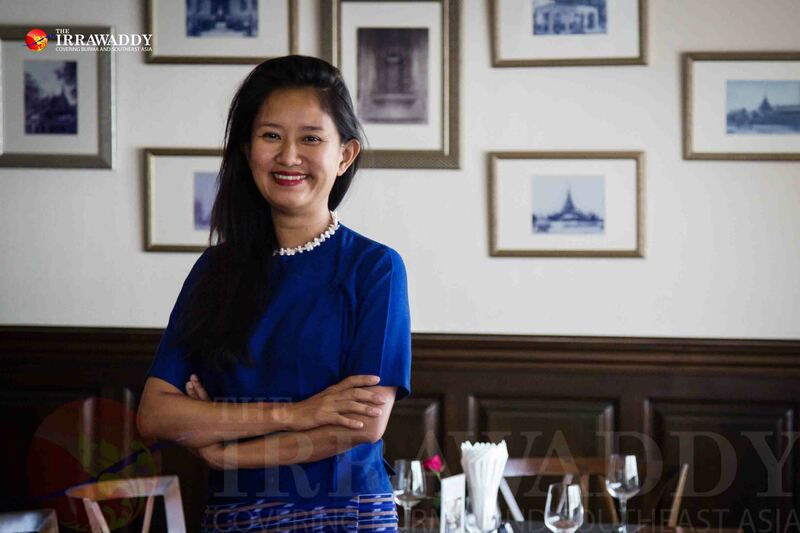 As we set out on a new year, 2019, The Irrawaddy spoke to a range of experts including an official from the government investment body, the vice president of Myanmar Federation of Chambers of Commerce and Industry and business people from the industrial and tourism sectors about their expectations for this year. Although international organizations expect that the global investment outlook may not see significant improvements, I expect that Myanmar will receive more investment in 2019 compared to last year. We expect to receive more investment from Japan, China, South Korea, Hong Kong, Singapore and Thailand. This year is also a time to focus on the implementation process of a major investment promotion plan called the Myanmar Investment Promotion Plan (MIPP). [The plan aims to attract more than $200 billion through responsible and quality business over the next 20 years.] Depending on each project, we will form an investment promotion committee that will be led by the chair of Myanmar Investment Commission. At the end of the January, we will kick off the Invest Myanmar Summit 2019 in Naypyitaw jointly organized with the Union of Myanmar Federation of Chambers of Commerce and Industry (UMFCCI). We are seeking major investments from East Asia. The summit will provide international and local investors with the opportunities to discover potential investment opportunities in 10 regions and states across the country. Each state has a unique sector to invest in, so we decided to invite investors according to the location and its sectors. Moreover, we have a plan to tour abroad with our investment promotion agenda with particular focus on Japan and other East Asia and ASEAN countries. We are preparing to hold an investment fair for Rakhine State in February and for Chin State in March. In terms of investment under the China-Myanmar Economic Corridor agreement, the investment for Mandalay, Muse and Kyaukphyu railway projects and major highways projects may begin and, including Kyaukphyu SEZ, we expect more local job opportunities under the agreement. As we remove many restrictions on investors, foreign investors will get a chance to invest in the stock exchange market. The new Myanmar Companies Law took effect three months ago, so we expect to see more foreign investment in local companies which were off limits to foreign investors in the past. As a result of making business regulations more efficient and effective, small and medium enterprises will have more chances to look at new opportunities. The year 2019 will be totally different from 2018. Many economic reforms and policies made by the current government will come into effect. Business conditions should be better this year. The government has been in term for more than two-and-a-half years, so I hope they have been learning a lot about how to make the country’s economy better and which are the best policies to help business to thrive. If they fail again this year, it will likely affect the next election results. The country’s image has been tarnished due to the Rakhine crisis. We can’t deny that this case is one of the major factors behind the decline in foreign investment. However, the government changed their policy to “look east” (towards East Asia countries for investment). Moreover, the government has geared up its support for small and medium-sized enterprises. The relationship between the government and SMEs is become more active and making progress. The government needs to favor local investors while the country opens up to foreign investors including in the trade, retail and wholesale sectors. Local investors are concerned that they won’t be able to compete with foreign investors in those sectors. It also poses threat that local companies may be shut down. They need to protect local investors first. We recently discussed investments from the United States, the UK, China, Japan, Australia, New Zealand, Thailand and Malaysia. We have been focusing on investment prospects for the coming three months. Among the foreign countries, more Japanese investors will look to invest in Myanmar. Many foreign investors are interested in attending the Invest Myanmar Summit 2019 on Jan. 28 and 29 in Naypyitaw. We have one hundred projects on offer for both local and foreign investors. They will have chances to learn what types of projects and sectors are open to them and they can also make direct contact with officials and business people from each state and region. Considering the overall effort of the government and its investment body so far, the country’s economy will be better in this year. Last year, businesses experienced what could be said was the worst year in 20 years. This fiscal year [2018-2019] has so far dropped 20 percent below the 2017-2018 fiscal year. [The tourism sector calculates a fiscal year as starting from April 1 and therefore, the tourism 2018-2019 fiscal year will end on March 31.] We experienced a significant drop in 2007-2008, but it was because of political issues and a natural disaster. But this time, the drop is due to international pressure from outside. I still need to wait and see what happens between January and April 2019. If we are lucky it could increase by 5 or 10 percent. Meanwhile, we have been reducing costs as much as we can to prepare for the worst conditions. Despite the visa exemptions for some Asian countries, I don’t see a significant rise in tourist numbers from those countries. I still see a number of tourists from the west. We have more hotels than the number of tourist that we received. Even if the number [of tourists] increases a little, we don’t really feel the result. As we already know, living costs are quite expensive in Myanmar. It is a major reason that we can’t compete with Thailand or Vietnam. As inflation rates are high, not only daily food expenses but also transportation costs are high too. If we calculate overall costs (of a tourism business), the amount is huge. As a result, it becomes double tax on customers. If we reduce the cost, we can’t give a good service to the customers. It is like a cycle—if our service is not good, people will choose other destinations like Thailand or Vietnam over Myanmar. The government needs to help us to reduce the cost of living. Moreover, the government can’t effectively reach out to the international tourism community. We need more effective marketing strategies for the tourism sector. They are also weak at communication skills both outside and inside the country; they don’t really know how to respond—how to explain the conditions like in the Rakhine crisis in order to save the country’s image. If we respond in an aggressive way, we won’t get a good result. They should have good public relation strategies both with international and local people. The government also needs to explain policy changes using short and simple terms for the public. Furthermore, this government is more focused on long-term policies. I support long-term plans but in Myanmar the majority of people cannot wait to get benefits. They need changes that can give them advantages within the short term. While implementing long-term plans, the government also needs to do some short-term reforms in order to make the people happy. The National League for Democracy government took heed of the peace process but abandoned the country’s economy. However, as they began to notice the country’s economy declining, they tried to pay more attention to economic reforms just before the end of 2018. They ordered the easing of policies in many sectors in order to become investor-friendly. I think we will see rewards from those efforts this year. The cabinet members, especially the vice president, met with local business people frequently to find ways to revive the business environment. The government also encourages local investors to make more investments in the country. There are two major risks to economic growth this year—the Rakhine crisis and the possible withdrawal of EU trade preferences. The Rakhine crisis could intensify at any time and that would cause a loss of trust from investors. The revoking of EU trade preferences would impact the lives of the ordinary people and we also could lose one of the country’s largest foreign incomes. But the garment sector is waiting to hear the EU’s decision. If they decide to revoke the trade privileges, we will look for a new market. Myanmar had a chance to capitalize on the trade tensions between the US and China but there wasn’t much confidence in Myanmar so they did not come to us. When the trade tensions arose, Chinese companies mostly looked towards Vietnam. We still have many things to prepare in order to be able to accept massive investment, especially in the production sector. Under this government, no one has special privileges. They provide a level playing field in terms of doing business in the country. However, since the ASEAN Economic Community came into effect, our production sector is struggling to compete with other ASEAN countries. 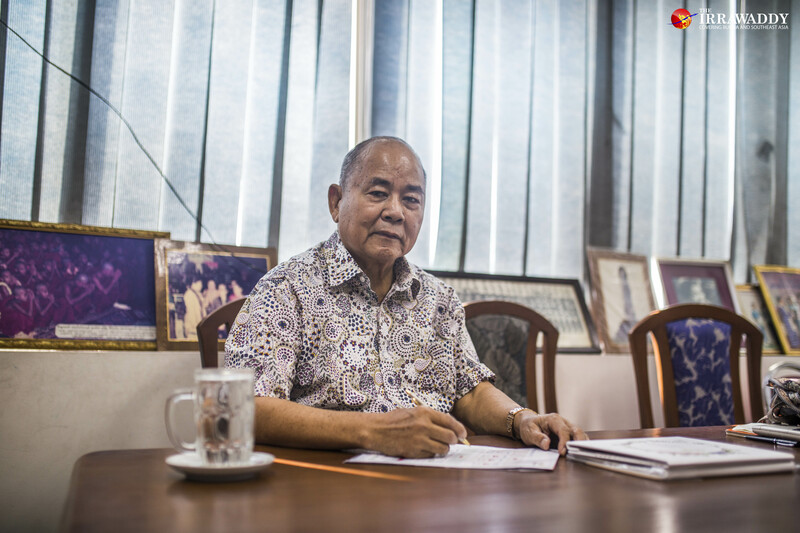 [The first pillars of ASEAN Economic Community involves the free flow of goods, services, investment, labour and capital among the ASEAN countries.] One major problem is that the government cannot provide a sufficient power supply to the industrial zones. Our country can only produce raw materials. We’re not able to produce finished products or goods. We sell raw materials to the other countries, then we buy finished products from them. It is a failure of the industrial sector. We must change that condition.